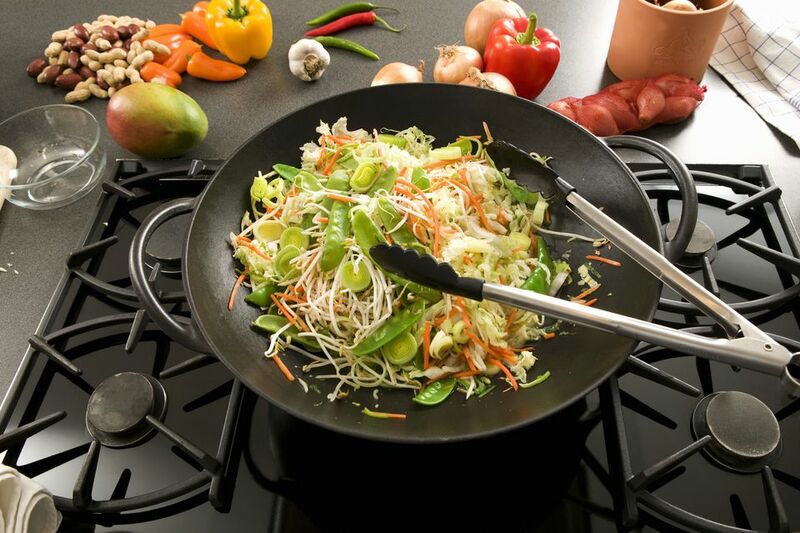 One of the main keys to successful stir-frying is preheating the wok before adding oil. Adding oil to a cold wok is a surefire way to guarantee the cooked food will stick to the bottom of the wok. (The food may also not be cooked through). Always preheat your wok on medium-high to high heat for at least 30 seconds. Check for the “Smoke Signal.” The wok should be just starting to smoke slightly. (You may also see a slight blueish tinge on the wok bottom). Do the water test. Throw a few drops of water into the wok. If the water sizzles immediately, the wok is hot enough. Test for Heat. Hold the palm of your hand about 2 to 3 inches above the wok's surface. You should be able to feel the heat. What Type of Oil Should You Use for Stir-Frying?